You've seen them on grocery shelves. You may have some in your refrigerator. Sparkling water products have become wildly popular with consumers seeking a healthier alternative to cola drinks. We all have to drink water to stay alive, but drinking water with a little zip is often more pleasant than what comes out of the tap. As consumers drink more of these carbonated beverages, they may be wondering just how healthy they are. Are they as healthy as drinking plain water? In some cases, they may be, according to Dr. Mark Zeidel, Chair of the Department of Medicine at Beth Israel Deaconess Medical Center. But you have to look closely at the nutrition label. If the beverage contains added flavorings, sugars, or citric acid, it’s not the same as drinking plain water. There's also a question of the source of the carbonation, though that doesn't appear to affect hydration. Soda water gets its carbonation when carbon dioxide is injected into the water. Mineral water comes out of the ground with bubbles. But seltzer or sparking water can hydrate you just as well as water, just so long as there aren't a lot of additives. The experts at LiveScience tend to agree, though they couch that agreement by pointing out that there isn't a lot of research on the subject. They discount the concern that carbonated water will affect calcium levels, while conceding it's possible the carbonation isn't good for tooth enamel. However, they conclude that carbonated water products will hydrate the body just as well as water. But there's no question that pure carbonated water, with nothing added, is healthier than products with extra ingredients like salt or sugar. Beverage companies have taken note of consumers' growing preference for bubbly water. Last year, Coca-Cola acquired sparkling mineral water brand Topo Chico for $220 million. Pepsico has also added a sparkling version to its Aquifina line. 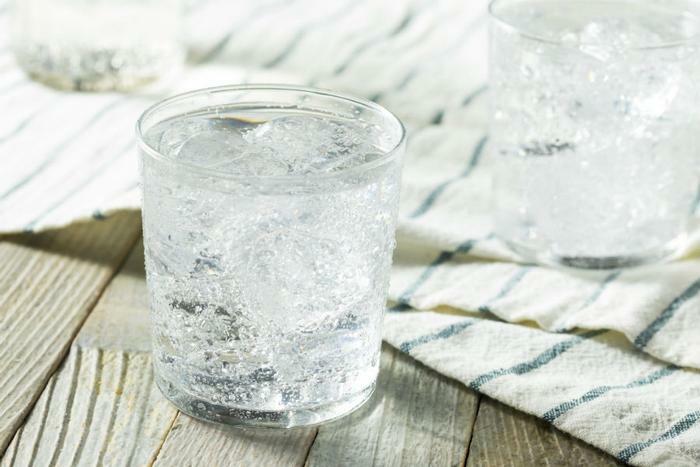 As USA Today noted earlier this year, the beverage giants are in a game of catch-up with Florida-based National Beverage, which owns the popular LaCroix brand of flavored sparkling water products.